Robust for the needs of enterprises, Foxit PhantomPDF Business delivers a feature rich solution with the quality, security, deployability, and support essential for enterprise requirements. Foxit PhantomPDF Business is the industry's premiere PDF editor; making editing PDF files easier than ever before to deliver professional looking PDF documents in no time at all. Its PDF editing capabilities provide capabilities similar to that of word processing software. - Automatically reflows and reformats text in the text box as you edit it just like a word processor. Just add or delete content without worrying about the layout. - Replicate the texts style (font, bold, color, etc.) when copying and pasting text. - Reduces the file size of scanned PDFs before distributing or archiving to save transfer time and disk space. - Supports using WeiRuan-->WeiRuan IRM Protection for PDF Version 2 to encrypt PDFs and output the encrypted files in PPDF format. - Auto-straightens scanned PDF documents. - Allows users to link to a bookmark/specific page within a web pdf in a web browser using URL parameters. - Supports line spacing setting when designing text fields. - Provides printing templates when creating files to PDF and supports lossless compression. - Supports Greek language in OCR engines. - Supports adding bullet lists in Typewriter/Callout/Textbox/Note annotations and the availability of annotation rotation. - Supports more settings using the GPO templates, including forbidding all auto-connecting to server, setting to hide document message bar in preferences, and more. - Allows configuration of the interval to check new comments during shared review and notifies users by flashing the PhantomPDF icon in the taskbar if any. - Supports to save custom colors in annotation properties and then all the annotations can share the custom colors. - Streamlines the workflow when scanning paper to PDF. - Optimizes the way to name form fields after running form field recognition. - Enhances the edit capabilities of scanned and OCRed PDF documents. - Shows the preview of ink signatures and stamps when the mouse cursor hovering over the document area after users select them. - Provides an option to apply a stamp to multiple pages. - Fixed an issue where errors might occur when users tried to create reports twice after verifying compliance with PDF A/E/X. - Fixed an issue where the application interface became fuzzy in higher DPI. - Fixed a security issue where memory corruption may occur when converting a GIF file with an invalid value in Ubyte Size in its DataSubBlock Structure, which could lead to a controlled crash execution. 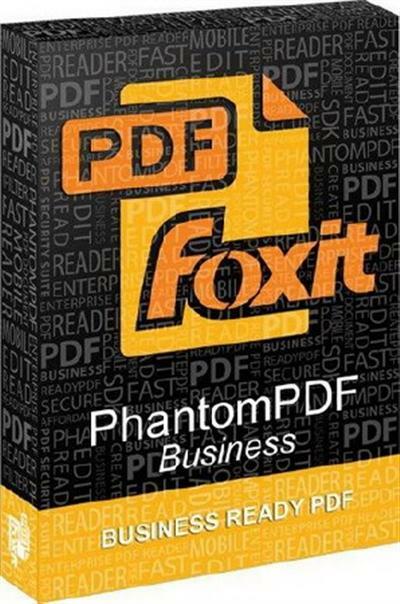 Foxit PhantomPDF Business 7.1.3.0320 :May/25/2015 Fast Download via Rapidshare Hotfile Fileserve Filesonic Megaupload, Foxit PhantomPDF Business 7.1.3.0320 :May/25/2015 Torrents and Emule Download or anything related.